RAROTONGA, the emerald jewel of the Pacific. With its jagged peaks and deep valleys, fertile slopes of red earth and sparkling aquamarine lagoon, it is the classic 19th century European ideal of paradise. It was one of the last of the Cook Islands to be visited by European ships and has always been a favorite of sailors and merchants. Many old South Sea hands consider it the most beautiful island in the Pacific. 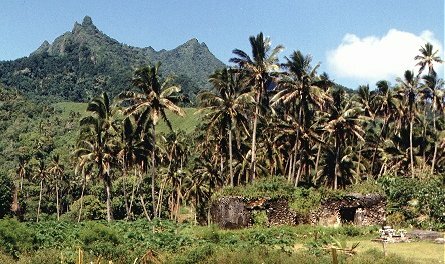 Countless travellers' tales, books, plays and films have created a vision of an archetype of heaven in the South Seas -- massed coconut palms, jungle-clad peaks, the boom of combers smashing on the reef, the crimson flamboyant trees and the beat of the drum dance. Amazingly enough it is all true. Casual chats with overseas visitors will often confirm their surprise that such a place exists. Voyagers from Switzerland, England Germany, Italy and Canada will admit they never expected to find Rarotonga such a beautiful island. 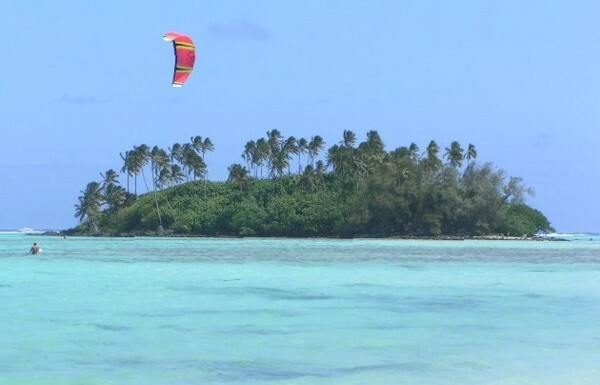 Many who have been to Hawaii, Fiji or Tahiti often complain about the prices or the commercialisation of those places but their attitude to Rarotonga is nearly always favorable. They like the relaxed atmosphere and the sense that the life of the island continues in its normal way without a 'tourist' focus. One feature remarked on by most visitors but almost unnoticed by Rarotongans is the number of tiny wild chickens which wander without hindrance wherever they choose. These fowl are too scrawny or quick to make serious contributions to cooking pots. Every morning before dawn and often in the middle of the night a chorus of cockerels starts up, with each rooster trying to outdo the other in staking their claims to territory and harems. The central mountainous region is unpopulated and its highest parts consist of cloud forest, an ecological wonderland. This area begins at about 1300 feet (400m) and contains many species of plants unique to the Cook Islands. These include the ascarina (kaiatea ko'u), the glossy tongue fern and the Rarotongan freycinetia (kiekie), a plant similar to pandanus (ara). Much valuable work has been done recently to conserve and protect native flora and fauna by the Cook Islands Natural Heritage Project. Funded by the Government and the South Pacific Regional Environment Program, its main aim is to educate people about the need for conservation. It is run by New Zealander Gerald McCormack and Swiss illustrator Judith Künzlé. They have published a comprehensive guide for hikers and eco-tourists: Rarotonga's Mountain Tracks and Plants. For visitors wishing to explore the interior on foot there is a guided cross-island walk led by the inimitable Pa. For the less energetic there is a three-hour four-wheel drive safari which takes one through the mountains and into the rain forests. Aerial scenery can be enjoyed with a 20 minute scenic flight from the airport at a cost of NZ$55 (US$26). Rarotonga's endangered flycatcher bird, the kakerori, is also protected by the Takitumu Conservation Area project which provides guided tours into the southern mountains. The revenue from these trips contributes towards the cost of keeping down the rats which prey on the tiny bird's eggs. 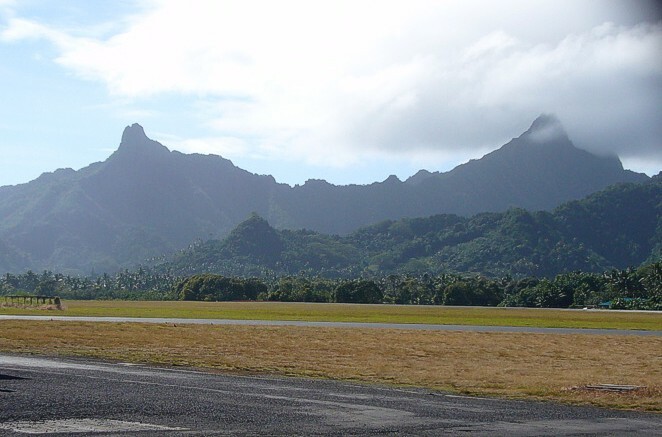 Land on Rarotonga, as on most islands in the Cooks group, belongs to individuals and families and can only be leased, not sold as freehold. The downside to this is that when houses are not salable assets the result is often derelict homes deteriorating in the tropical climate, the rightful heirs unable to cash up, either lacking funds to rebuild or unwilling to leave the fleshpots of Auckland or Sydney. 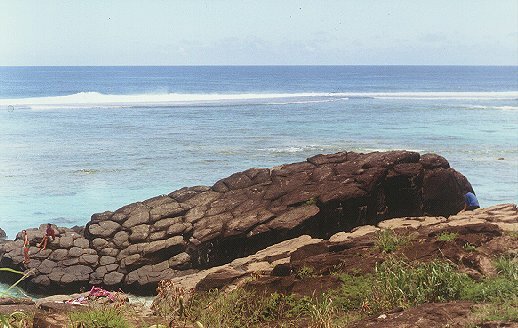 One of the main attractions of Rarotonga is that it is a real place, not a manufactured destination point for tourists. Real people live there and wrestle with all the problems that tiny countries face trying to cope with the modern world of instant communications and jet travel. It is an idyllic place for travellers seeking lost horizons and for those interested in the ways of Polynesia. 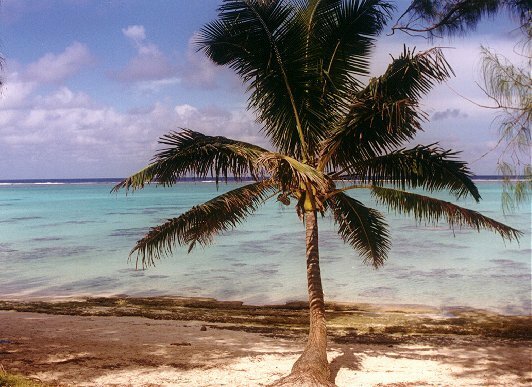 As well as the ubiquitous coconut palms, Rarotonga is home to many mature and beautiful tropical trees. Wandering down the back roads either on foot rented bicycle or motor scooter can be a rewarding experience. 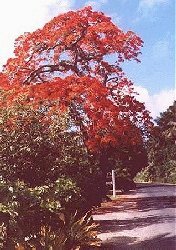 Poinciana, known locally as 'flamboyants', are an import from South America but look wonderful against the predominant greens and blues of Rarotonga. Massive old trees can be found in the quieter parts such as along the ancient Ara Metua, the Great Road of Toi, built about 1000 AD from coral slabs. There is a regular round-the-island bus service which runs in both clockwise and anti-clockwise directions. Several companies offer bicycle, motor scooters and cars (automobiles) for rent. Allow about NZ$110 (approx US$46) per week for hire of a 100cc two-seater scooter. This is the most widely used means of transport on Rarotonga by visitors and locals. Rates for renting cars (automobiles) vary but rock bottom price per day for older models is about NZ$45 (approx US$19). It is worth checking out some of the smaller operators. Many hotels and motels rent out bicycles and scooters. In addition to its peacefulness, however, Rarotonga offers plenty of excitement for those seeking dancing, music and good companionship. Cabarets, discos and restaurants flourish except late on Saturday night when the Sabbath starts. 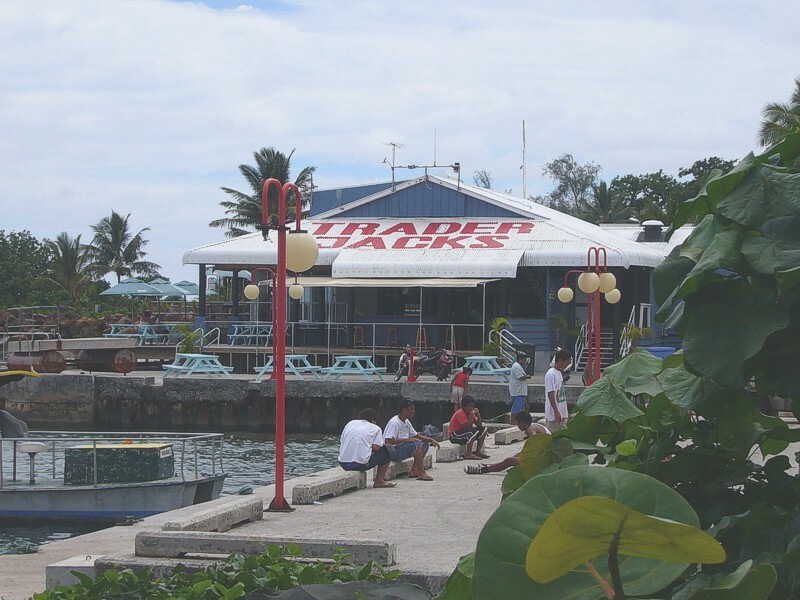 In the daytime, the main township, Avarua, provides a selection of caf�s and bars for those seeking a caffeine fix. The Blue Note, in the same building which once housed the notorious Banana Court bar, serves local coffee and dishes from its wide verandah and offers an uninterrupted view of the harbor. Seafood is a staple of Polynesian cuisine and Rarotonga's restaurants offer traditional as well as island-style dishes. 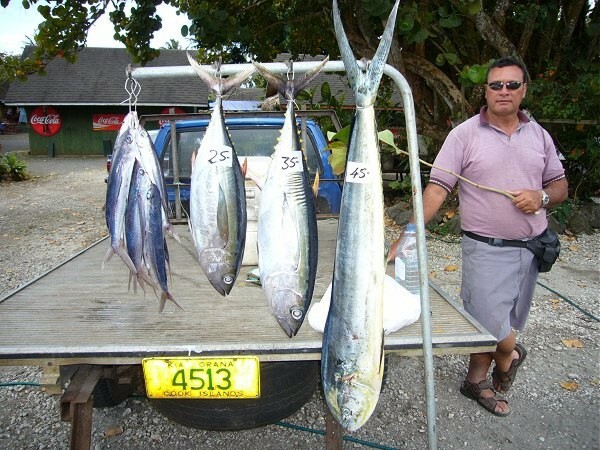 A delicacy is grilled 'mai-mai', the dolphin fish, a speciality at Trader Jack's in Avarua. 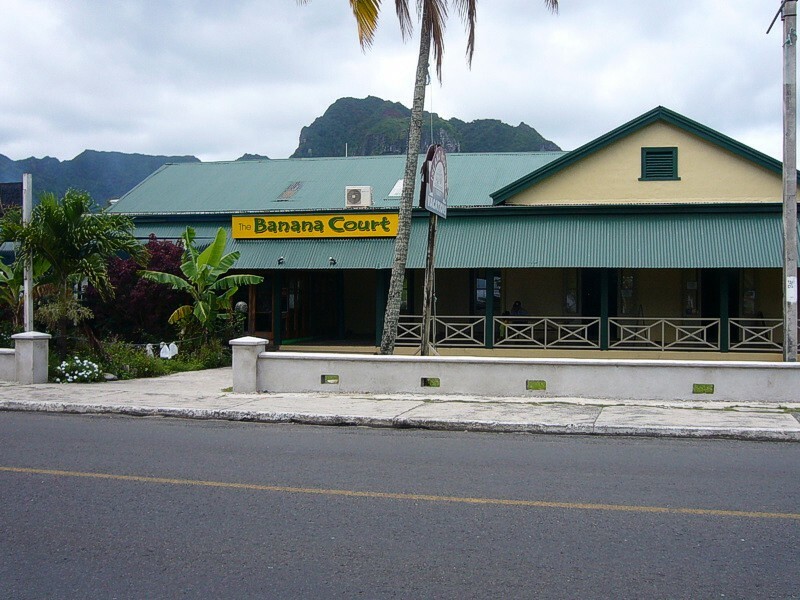 Eating out is not cheap in Rarotonga, at least not by New Zealand standards. Much of the fare is fairly ordinary but gourmet dining can be found at the Flame Tree in Muri, the Portofino in Tupapa and the Tumunu in Arorangi. The hotels also offer extensive menus and usually a traditional island feast or 'umu kai' with accompanying dancing and drumming. The 'umu kai' is cooked in an earth oven by radiant heat from hot stones. There are lunch and café establishments in Avarua which also provide European and Polynesian meals. Click for some traditional Cook Islands recipes. 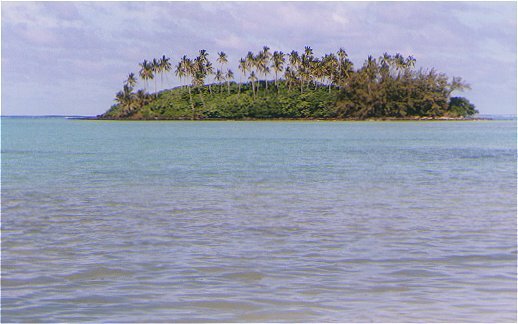 The lagoon is a focal point of interest for visitors to Rarotonga. Swimmers who do not use fins (flippers) and those just like to wade are advised strongly to wear either old sneakers or rubber reef shoes (not thong sandals). Coral is razor sharp and any cut can quickly become badly infected. That said, the lagoon is safe and a delight for snorkellers. In recent years overfishing caused a decline in the fish and shellfish population. This has been addressed successfully by the imposition of 'raui' or bans in various parts of the lagoon. These are now the best places to see fish! They can be identified by boundary poles decorated with coconut fronds stuck into the lagoon. Between the poles it is strictly forbidden to take any fish, coral or shells. An excellent snorkelling location is in the 'raui' area of the southern lagoon just east of the village of Titikaveka near the TV transmission mast. A shelving sand beach leads out to a channel between coral heads. As well as reef fish there are schools of small trevally here which are so used to swimmers that they will nibble at fingers which are not moving. A favorite food to take is frozen peas which they will take from the hand. When the tide is in one can float a couple of feet above the coral massif and see up close the minute and colorful reef life which includes the nudibract, the delightful Spanish Dancer, a tiny red speckled blanket which flaps lazily across the anemones. There are keen local surfers who use the big waves coming in from the north at Avarua Harbor. 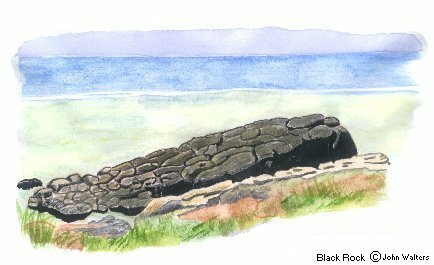 A very popular swimming spot is at the famed Black Rock at the north-west end of the island just south of the airport runway. 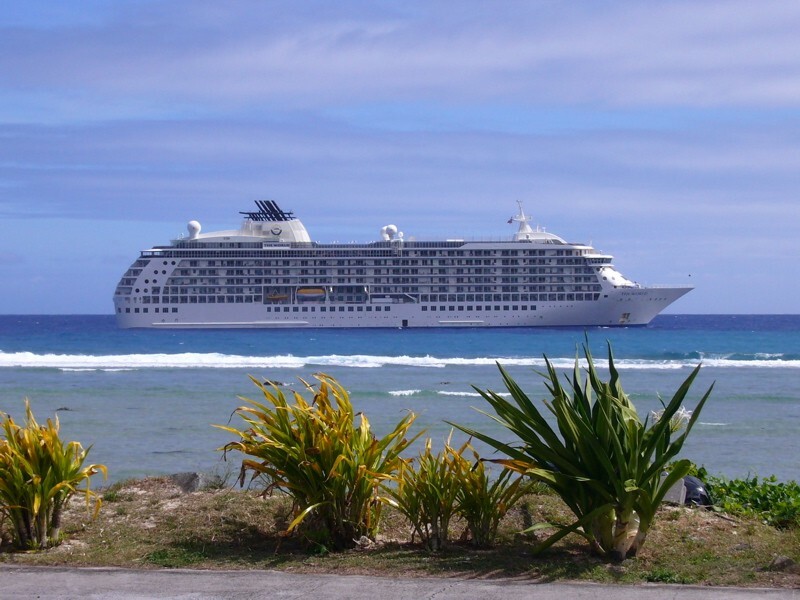 Rarotonga offers much for lovers of the sea, including lagoon cruises, sports fishing, diving and sailing. Sea sport. Not to be missed is Sunday morning service at one of the many churches distributed around the island. Most visitors exposed for the first time to Cook Islands hymn singing are astonished at the power of the voices and the quality of the harmony. The men turn out in their Sunday best and the women are always immaculate in their stiff 'rito' hats made of young coconut fibre. Churches are at Avarua, Arorangi, Titikaveka, Ngatangiia and Matavera. There is much interest also in wandering around the churchyards checking on the headstones. 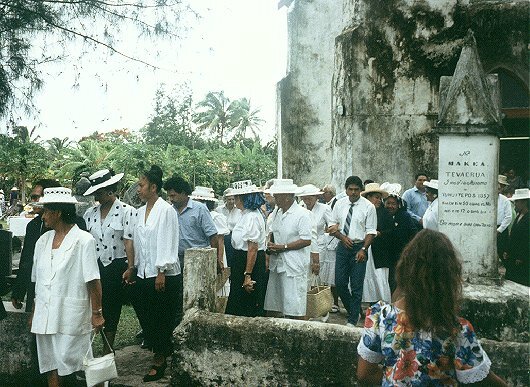 The Avarua CICC contains, among many others, the graves of Stephen Savage, the lexicographer, and nearby, the noted American author Robert Dean Frisbie who was the Cook Islands' Robert Louis Stephenson. Frisbie died in 1948 on Rarotonga but spent much of his life in the Cooks on Pukapuka. See Books. 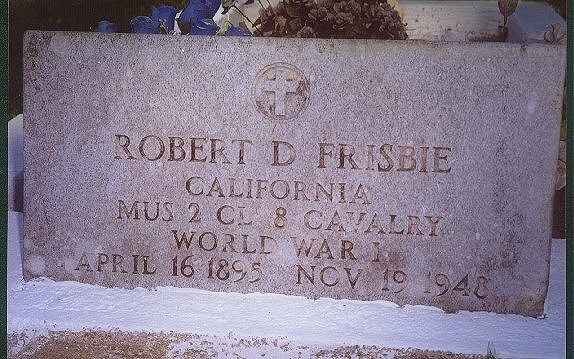 Frisbie's headstone, which is at the southern end of the churchyard is hard to find because of mildew and mould. Also not to be missed is the market on the waterfront at the western end of Avarua. This is open every day except Sunday. 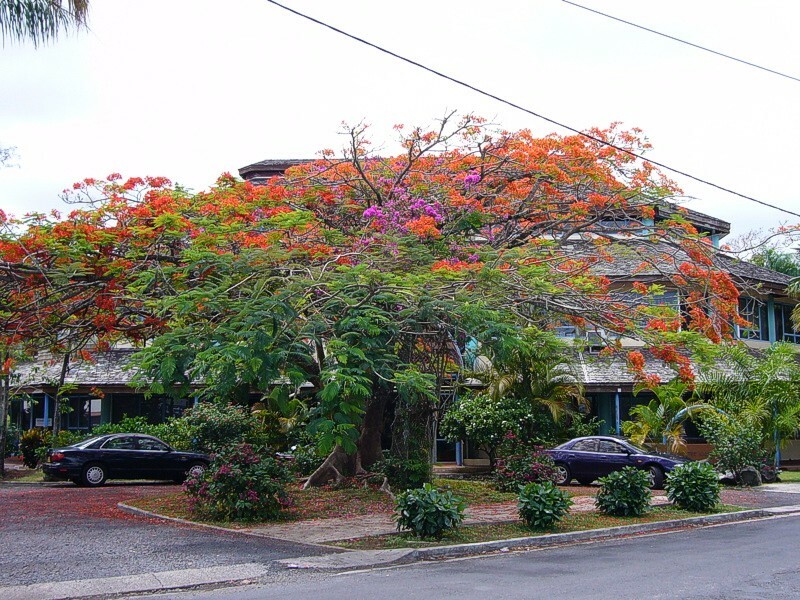 On Friday nights it offers hot food which is very popular with the islanders. On Saturday morning it hums since everyone on the island seems to be there. Stalls sell food, drinks and crafts and there is often a competition for local singers to show off their talents. 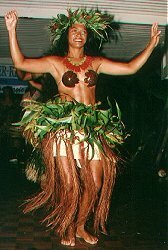 There are also displays of traditional Cook Islands dancing. There is also a night market on Thursdays in Muri. If the fishing has been good the catch is displayed for sale at the market on the same day. Usually fresh tuna hangs tail first accompanied by the occasional four-foot wahoo. Visitors who can cook for themselves can get a real bargain if they like fresh tuna steaks. These are delicious dry-fried in a non-stick frypan with just a drop of oil. There are cultural shows and exhibitions throughout the year (see Events) and the two museums and libraries in Avarua are open throughout the week. There is plenty of opportunity for shopping for locally-made souvenirs, arts and crafts and black pearl jewellery. A list of places to stay is at Accommodation. Back to Rarotonga - Geography.